IT MIGHT COME as a surprise to some, but even U2 realise that not everyone likes U2. In September, the band teamed up with Apple to give up to half a billion people a free copy of their new album, Songs of Innocence, by placing it directly into their iTunes accounts. People were not pleased about this. In fact, they were so angry about the perceived intrusion that Apple had to build another website to help people delete the album. It seems U2 have realised this – in an interview with Dublin radio station TXFM last night, The Edge admitted that the band had their own ideas about how the iTunes deal would be received. But, I do understand for some people, they felt it was an unwelcome gift. I mean, I was saying to Bono, in our heads we were leaving a free carton of milk on people’s doorsteps but actually what happened is, it was placed in their fridge, y’know, in their house. We really couldn’t have put it better ourselves. 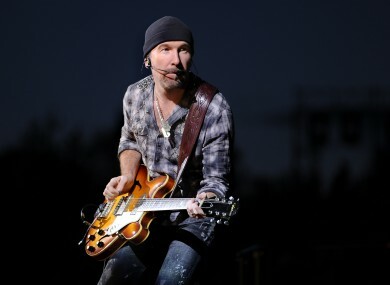 Email “The Edge sees why people thought U2's free album was an 'unwelcome gift'”. Feedback on “The Edge sees why people thought U2's free album was an 'unwelcome gift'”.